Gorgeous wedding unity candle set, made with ivory pillar and taper candles and decorated with black ribbons and golden crystal applique. We used gold foil print to personalize the candles. Personalized wedding unity candle set, decorated with golden applique and black ribbons. More personalized unity candle designs at BridalQueen. Recently we added a new category of wedding decorations to our accessories collection- Unity Candle Sets. Wedding Unity Candle Set includes one pillar candle 3″ x 6″ or 3″ x 9″ tall, and two taper candles 10″ tall. The candles are wrapped with satin ribbons, we offer plenty of different colors to match your wedding color theme. Pillar candle features a beautiful large statement crystal brooch, taper candles are accented with rhinestone and pearl trim and rhinestone embellishments. Candles are available in white or ivory color. Here is our selection of crystal and pearl brooches that can be used to decorate wedding candles. We have many more in stock I will post pictures some time this week. Want to get a cute and valuable prezzie for your Valentine’s? We are currently running a giveaway, the prize is this gorgeous crystal bracelet, that can be worn as a bridal accessory but also at a party. 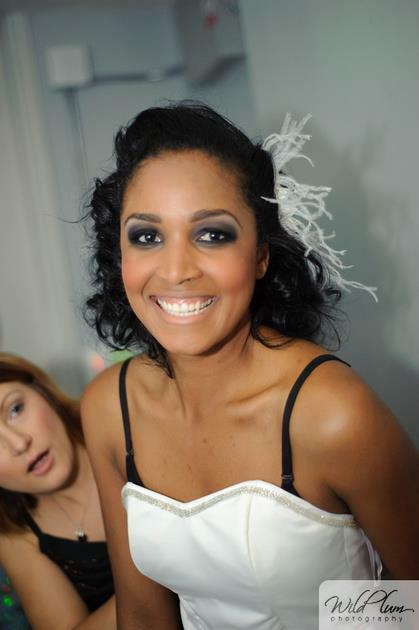 Past customers – send us pictures from your wedding and win ………10 pts! The contest lasts until February 14th, 12 pm. The winner will be known within 24 hours. We will announce the winner on our Facebook page and also on this blog. After we’ve been provided the shipping address we will ship the bracelet free of charge. I have just received a picture from our happy customer Kasey and it literally made my day! I wish Kasey and her husband a happy marriage! When Georgianne modeled for me at my very first fashion show in San Francisco in 2011 – I knew that some day I was going to make her her wedding dress! It was the fashion show with RAW ARTISTS in San Francisco in June 2011 at 111 Minna. I hadn’t met any of my models and I was not able to fit the dresses on them prior to the show. When Georgianne walked into the make-up room I knew that she was going to rock this dress! Georgianne modeled for me many times since then – always gorgeous and radiant! And when my dear Georgy asked me to make her dream wedding dress for her I was incredibly happy to finally be able to use all my creativity and skills to make her wish come true! Georgianne was a perfect Bride-to-be. She talked to me about her wedding theme, her favorite colors and showed me inspirations for her bridal gown. The wedding was going to take place at Cabo in October 2013. And so, I designed a bridal gown with lace overlay and mermaid shape skirt, although I was not yet sure how I was going to create the texture on the skirt. Well, the dress in this picture is NOT her wedding dress 🙂 This one is the dress from that fashion show in 2011. Want to see the dress? I will show you the process of making the dress in my next couple of blogs. Don’t forget to follow us!